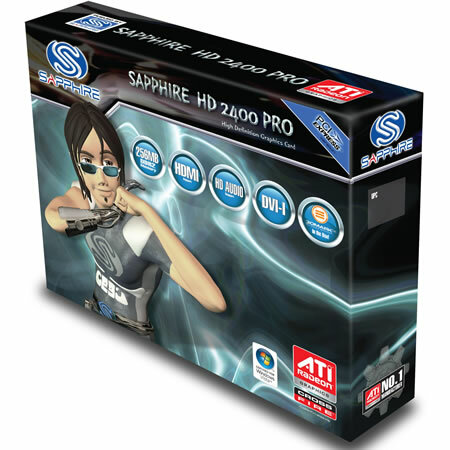 The Sapphire ATI Radeon HD 2400 PRO promises immersive high definition gaming for Windows Vista and DirectX 10 with easy CrossFire multi-GPU upgradeability. The Sapphire ATI Radeon HD 2400 PRO with a fully loaded HD feature-set including support for ATI Avivo HD, HDMI connect ability, HD Audio and Blu-ray / HD DVD decoding via Universal Video Decoding technology, exceeds the demands of the performance hungry Media PC. This new quiet and cool HD2400PRO quiet maintains the high frequency version of the 525 / 800MHz, ensuring excellent performance. The built-in 2x400MHz 10bit RAMDAC. Graphics supports maximum 2560 X 1600 resolution. 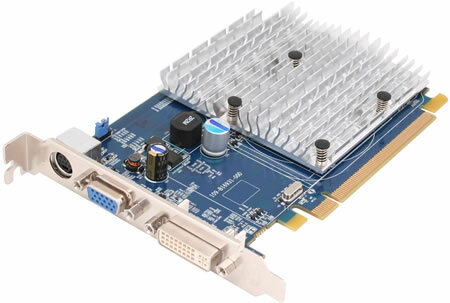 The Sapphire Radeon HD 2400 PRO support for up to 256MB of onboard memory, 64-bit memory interface, silent passive cooling, and PCI Express native support will provide the pixel pounding muscle to drive the feature rich Windows Vista 3D environment and increase productivity. The card is available for approximately $60.